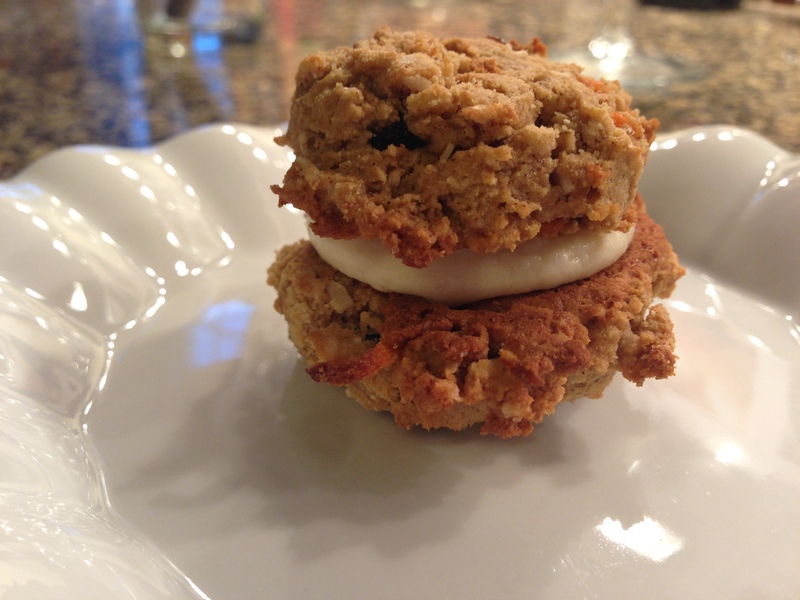 This entry was posted in All Posts, cookie, dessert, maple and tagged cookie, dessert, maple. Spring gatherings always necessitate a wow! dessert and the bigger the crowd, the more obvious it becomes that the perfect solution is cupcakes. Cupcakes are easy to make, can be decorated in a variety of ways (or not at all), and allow the eaters to remain mobile (and social). 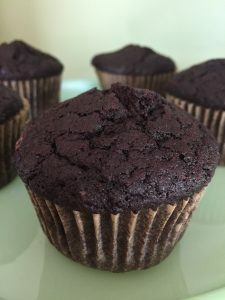 This particular cupcake is rich and dense, chocolaty, and has a tight crumb. It strikes the perfect balance of sea salt, cocoa, vanilla and coffee. 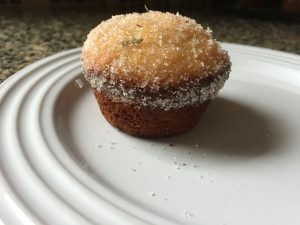 If you ever ate Drake’s Cakes Devil Dogs as a kid, these cupcakes will take you right back to that special place in your memories (hopefully you eat it a little slower though, and savor it with a cup of coffee or a nice glass of red wine). The options for toppings are endless, but primary candidates include fresh whipped heavy cream, whipped coconut cream, or a light buttercream. You could also get really crazy and go for a peanut butter frosting for over-the-top decadence. For my latest function I topped about half of the batch with coconut cream and left half plain. 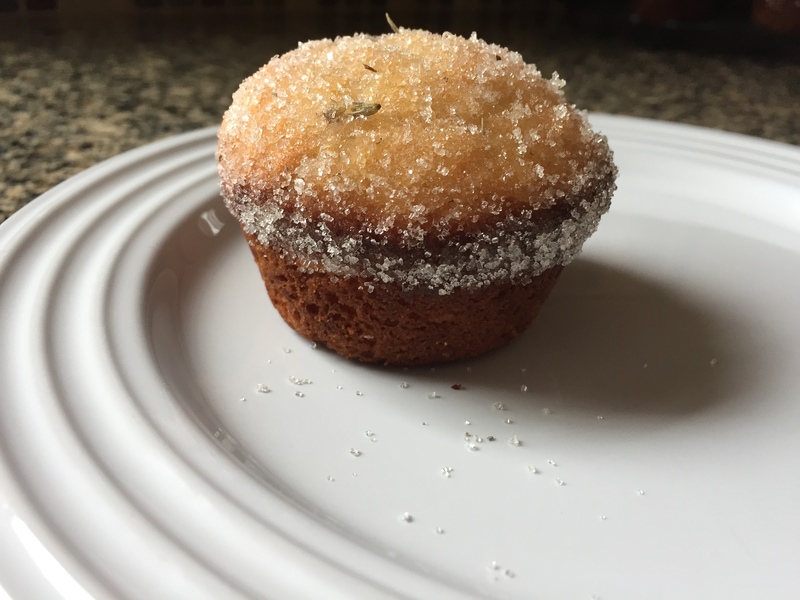 Preheat the oven to 350° and line a 12-cup muffin pan with baking cups. Sift the flour, cocoa powder, baking powder, salt and baking soda into a medium sized bowl. In a large bowl (or the bowl of a stand mixer), beat the shortening and sugar until light and fluffy, then sprinkle in the coffee granules. With the mixer on a medium speed add the eggs one at a time, beating until each is fully incorporated before adding the next. Add the vanilla. 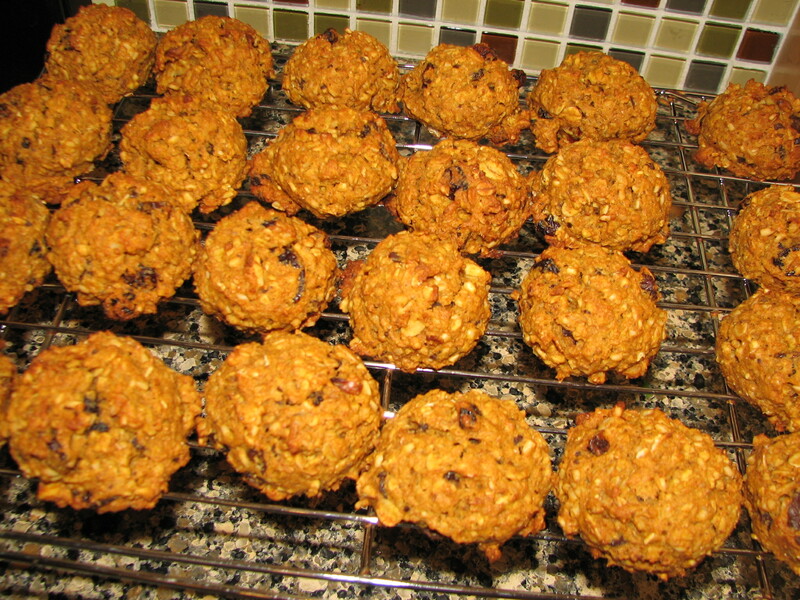 At low speed, alternately beat in the dry ingredients and the flax milk. Use a number 2 scoop to transfer the batter into the baking cups. Bake the cupcakes for 25 minutes, or until a cake tester inserted in the center comes out clean. 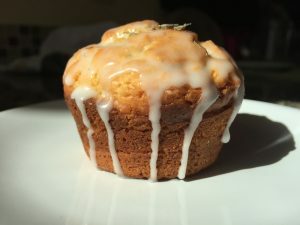 Let the cakes cool for five minutes, then remove them from the muffin tin and transfer to a cooling rack. This entry was posted in All Posts, cake, chocolate, coconut, cupcake, dairy-free, dessert, gluten-free, vegetarian and tagged chocolate, cupcake, dairy-free, dessert, gluten-free. Never in my life, until just over a year ago, had I known so many people with food allergies. Now I have adopted an entire family full 🙂 (and I love them all) and have several friends with them as well. There are allergies to spices, some to raw fruits and veggies, to gluten, to tree nuts, to peanuts, to dairy, and the list goes on. Then there are the folks who make life choices to exclude certain foods- people who eat paleo, vegetarian, vegan, dairy-free, etc. All of this adds up to challenge the “foodie” at each party. You want to bring a dish that looks good, tastes great, and that everyone will be able to partake in. It can be a little crazy, but I’m up for the challenge. 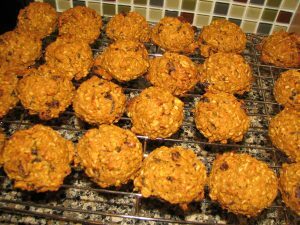 This entry was posted in All Posts, banana, cashews, chocolate, coconut, cookie, dates, dessert, eggs, flax, maple syrup, molasses, oats, raisins, vegetarian and tagged banana, cashews, chocolate, coconut, cookie, dates, dessert, eggs, flax, maple syrup, molasses, oats, raisins, vegetarian.